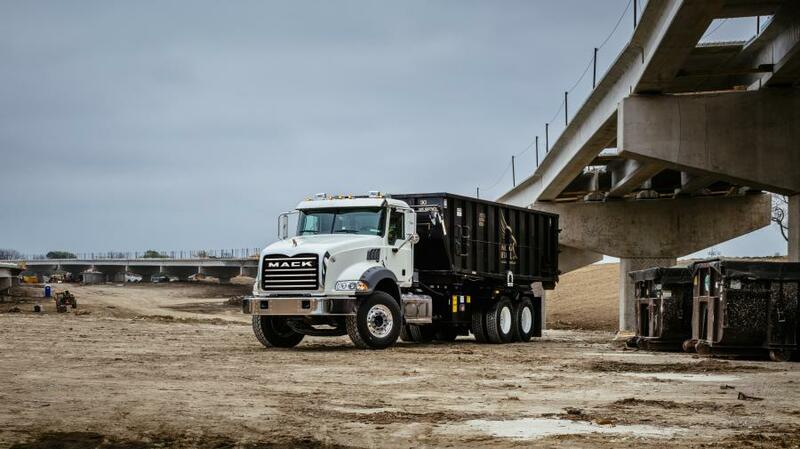 A new Mack Granite axle back model helped the Environmental Research & Education Foundation (EREF) raise $1.96 million in a live auction April 25 at WasteExpo 2018. This marks the 22nd year Mack has donated a vehicle to the auction, which has raised more than $20 million to fund and direct scientific research on sustainable waste management since its launch in 1994. EREF is one of the nation's largest private sources of funding for research to develop and evaluate new approaches to sustainable solid waste management. The nonprofit also funds scholarships for advanced degrees in environmental science and engineering and shares research findings through educational programs. The Granite model auctioned off was ready for work, equipped with a Galbreath outside rail roll-off cable hoist and Pioneer Rack 'n Pinion tarp and powered by a Mack MP 7-365C engine and six-speed Allison 4500 RDS transmission. “Mack's generous donations to the auction year after year have contributed to not only the success of the auction, but EREF's mission to advance sustainability in solid waste management,” said Bryan Staley, president and CEO of EREF.